Spring Health is reinventing mental health care from the ground up, making the journey to emotional well-being more convenient and personalized. 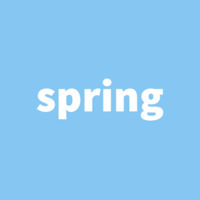 Spring offers a digital mental health clinic, personalized by AI, made personal by humans. We equip the best providers with leading AI to deliver the best care possible. Spring Health was featured in a VatorNews article: "Spring Health raises $6M to better match patients with mental health providers"